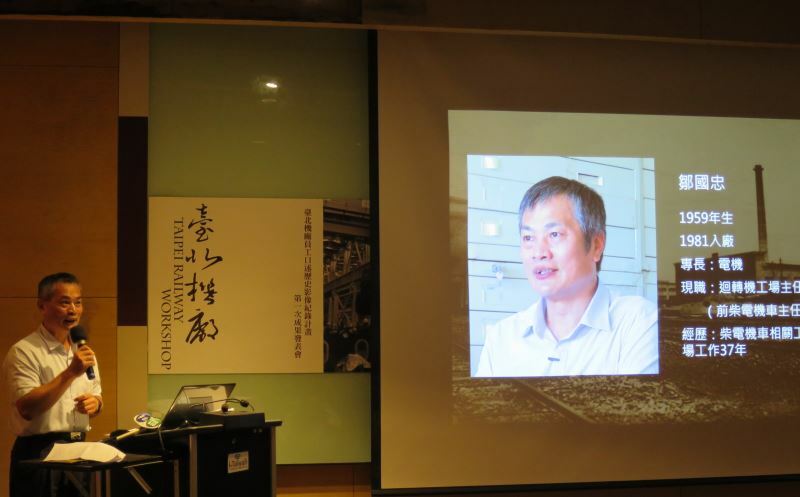 On Oct. 12, the Bureau of Cultural Heritage shared the first-stage results of the Taipei Railway Workshop Staff Oral History Video Documentation (Phase I) Project — headed up by the National Center for Research and Preservation of Cultural Properties, Chung Yuan Christian University — at the audiovisual room of the National Taiwan Museum. 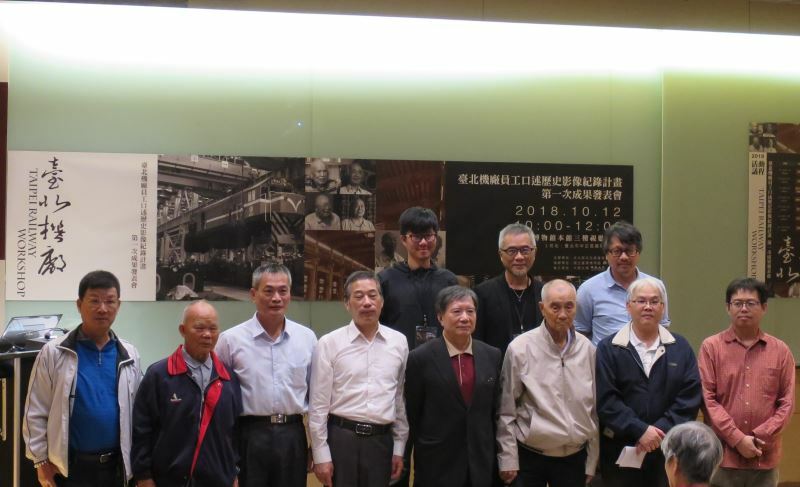 The oral recordings of retired staff of the Taipei Railway Workshop will not only ensure their personal stories and maintenance methods are preserved, but will also help further the public’s understanding of the nation’s rail heritage and further research into the museum’s collection. This project aims to create a record of the development of railway maintenance and its broader context through oral histories, and will in the future be provided to those conducting related research, used in railway history collection plans, and become a fundamental part of rail technology education. The original Taipei Railway Workshop has been designated a national historic site, and is currently on the way to becoming a world-class rail museum. To preserve the history of the workshop and its technical prowess, past staffers from the workshop have been consulted to collect oral histories, documenting how things were done at different points in time and other historical matters that aren't noted in written records. Focused around these oral histories and train maintenance records, the project collects eyewitness accounts of the Taipei Railway Workshop's history from 1935 through its relocation in 2013, with the recollections of former employees being recorded and transformed into invaluable historical records. 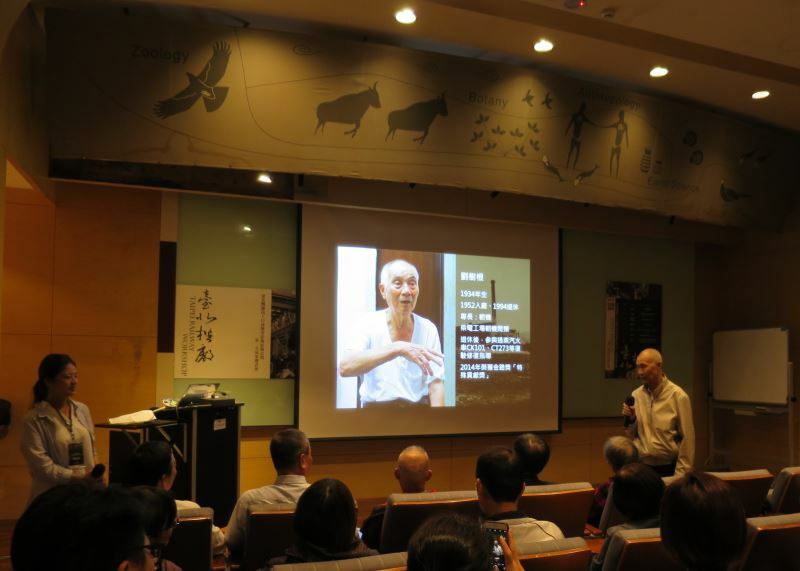 The results are being presented in phases, with this presentation focusing on two videos completed in the mid-stage of the project to share and explore stories stemming from the intangible cultural heritage of Taiwan's railways. These include the evolution of maintenance work, how staff were trained in both the pre-war Japanese period and the post-war ROC period, the intersection of industry and society, and records of how train maintenance processes changed over time. Domestic experts in the field have also been invited to provide their commentary and share the lessons learned by Taiwan’s railway industry. Tsou Kuo-chung has worked at the Taipei Railway Workshop for 37 years. Liu Shu-geng has worked at the Taipei Railway Workshop for 42 years. Visitors Today:131. All Time Visitors:1,229,938.